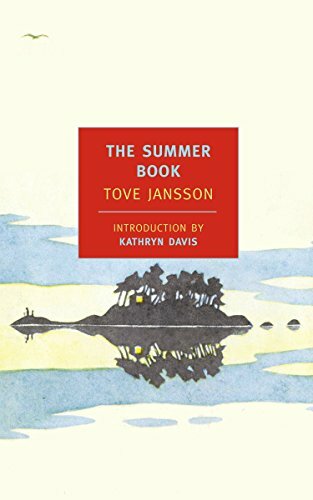 "In The Summer Book, Tove Jansson distills the essence of the summer—its sunlight and storms—into twenty-two crystalline vignettes. This brief novel tells the story of Sophia, a six-year-old girl awakening to existence, and Sophia’s grandmother, nearing the end of hers, as they spend the summer on a tiny unspoiled island in the Gulf of Finland. The grandmother is unsentimental and wise, if a little cranky; Sophia is impetuous and volatile, but she tends to her grandmother with the care of a new parent. Together they amble over coastline and forest in easy companionship, build boats from bark, create a miniature Venice, write a fanciful study of local bugs. They discuss things that matter to young and old alike: life, death, the nature of God and of love. “On an island,” thinks the grandmother, “everything is complete.” In The Summer Book, Jansson creates her own complete world, full of the varied joys and sorrows of life."